All the majorpartners of the completely revamped Pukekohe Park Raceway were elated with theopening day of the V8 Supercars ITM 400 Auckland in Pukekohe today. Event partners V8Supercars, ATEED (Auckland Tourism, Events and Economic Development), Ministryof Business, Innovation and Employment (MBIE), Counties Racing Club as well asMotorsport New Zealand were delighted with the feedback from patrons and raceteams to the circuit. This follows theformal approval this week from the world motorsport body, the FIA, whichgranted a category three certification for Pukekohe Park Raceway which hasundergone a $6.6 million upgrade in order to run this weekend’s event. The category threegrading will enable all forms of motorsport in this country to be able toutilise the upgraded facilities at Pukekohe Park Raceway. Motorsport NewZealand will continue discussions with the FIA after this weekend to pursue acategory two licence. “We are absolutelydelighted with the work that has been done at Pukekohe,” Motorsport NewZealand’s General Manager Brian Budd said. “The category threeinternational licence is what was required to run the V8 Supercars event andrealistically any motorsport event that New Zealand would be looking to host. Both Motorsport NewZealand and V8 Supercars said the project presented a unique challenge. “It is a veryunique build which combines a traditional permanent circuit with theintroduction of infrastructure from a temporary circuit,” Mr Budd said. 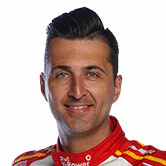 V8 Supercars COOShane Howard said there were some interesting tests. “It is constrainedby the fact that it is constructed around the confines of a horse racing trackand a railway line running along the main straight,” Howard said. “Installingconcrete barrier units on both sides throughout has addressed a number ofissues, and is now more of a street race in character. That is a uniquecircumstance and that is why the FIA are satisfied with the safety and now theyhave taken this design back and are going to investigate further to determineif it meets the requirements of grade two. Event sponsor ATEEDhas been thrilled with the improvements and the first day of racing. 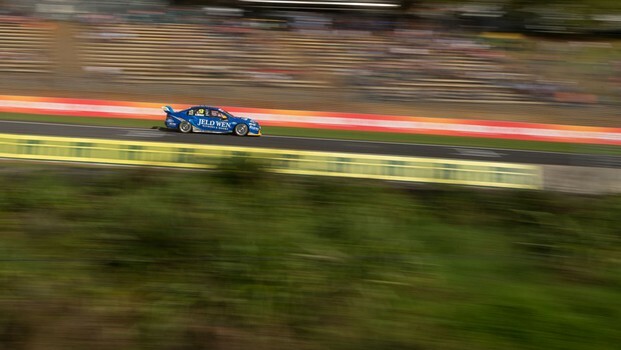 “The upgrades thathave been undertaken at Pukekohe Park have ensured that we have secured theexclusive round of the V8 Supercars at Pukekohe for at least the next fiveyears,” said ATEED’s Jennah Wootten. Current V8 SupercarChampion Jamie Whincup and New Zealand’s Fabian Coulthard were in awe of thecircuit after four full practice sessions today. Whincup, consideredone of the best race car drivers in the world, was in awe of the improvementssince he was last in Auckland in 2007. “What they havedone here is absolutely awesome, I am glad to be back. 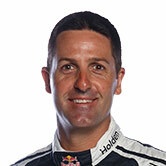 It is so much better andsafety is massively improved which is what was needed,” Whincup said. “The track hasalways had awesome character; and now it is so much better. It’s always beensuch a great track to drive and fantastic for the fans. It’s such a greatspectacle. The TV pictures are amazing and that’s what millions around theworld will see. “Last time we werehere I can remember waiting for a fence to be fixed and a photographer to gettaken off to hospital, so the safety was pretty ordinary. In-form Kiwi FabianCoulthard was equally impressed and wants nothing more than to take home theJason Richards Memorial Trophy in memory of the late Jason Richards who passedaway in 2011. “It’s important forNew Zealand to have a race. It was Hamilton, now here. It’s nice to come backat a professional level on a really terrific and safe track that can be usedyear-round. Tomorrow’sprogramme includes qualifying and two 100km races for V8 Supercars, which willbe repeated on Sunday.